must reflect the client narrative. My 24 year old male patient, who has entered my most recent blogs, looks to me to struggle with his issues, but he does not look to me for comfort. I characterize our relationship as one which involves a lot of mutual fondness. He sees me as an intelligent participant in his life who helps him think and reflect on his life, but he also experiences me as emotionally distant. Transference, first described by Sigmund Freud, is a phenomenon in psychotherapy in which there is an unconscious redirection of feelings from one person to another. In his later writings, Freud learned that understanding the transference was an important piece of the psychotherapeutic work. In the case of this patient, he has a distant mom and a warm dad who he does not see very often. When his parents divorced, he and his mom developed an intense, but in his terms, a “weird” relationship. By “weird” he means that she took care of him, but she did not want to spend a lot of time with him. He came to understand that he was not “worthy” of her time. Although it would be too simple to say that he has made me into his mother, it does appear that he assumes that I cannot comfort him based on his childhood experience of his mother. I know that my critics are going to argue that perhaps I am a cold person and so this is not transference, but rather a repetition of his past. The question becomes how much is my patient responding to his past relationships and how much is he responding to the present connection. As with most things, the past and the present are now woven together and it becomes nearly impossible to sort out. Having said that, the idea that his childhood relationship with his mom has shaped his expectations of our therapeutic relationship may be worth exploring. 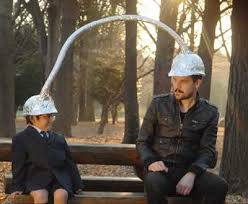 According to The Source published in 2001, “During transference, people turn into ‘biological time machine.”‘ A nerve is struck when someone says or does something that reminds you of your past. This creates an “emotional time warp” that transfers your emotional past and your psychological needs into the present. My client wants to grow and he wants to feel comfort. At the moment, he is able to access the growth and reflection aspect of psychotherapy. I am hopeful that by talking about the nature of our relationship, he will begin to feel the comfort that is embedded in the deep affection that we have for one another. We will start by looking at the transference. I was also betrayed recently by my mother and have been so distraught by it. and it really helped me realize I am not “stupid” for feeling the way I do. happen easily. Thank you so MUCH for posting this article, Dr. Sincerely. “I feel like I was thrown under the bus” says my 24 year old patient who experiences his mother as having a great deal more love for his half siblings. 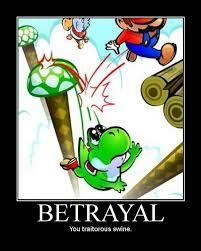 The word betrayal immediately came to my mind. Betrayal is the violation of a presumptive social contract that produces moral and psychological conflict within a relationship. In all of my years of psychoanalytic education, I am not familiar with any literature on betrayal. Yet, the theme comes up over and over again in my office. Adultery is the most common type of betrayal, but any type of relationship can end in betrayal. In the case of this patient, he trusted his mom to always treat him like he was very very important to her, but in point of fact, he feels that he is significantly less important than her children from her current marriage. This is a betrayal because the social contract implies that parents make all of their children equally important. I begin to wonder about this social contract. Perhaps growing up means understanding that parents have preferences and as such, children are not treated equally or fairly. Perhaps this is not a betrayal in that the social contract is in fact a myth. Although it may be true that the social contract is a myth, it is also true that children believe this contract and as such, growing up and finding out that the feelings do not correspond with the alleged contract, means that the budding adult experiences betrayal. In my way of thinking, betrayal is one of the worst human experiences. I say this because betrayal involves shock, disappointment and re-evaluation of one’s belief system. Almost every betrayal makes the victim look back over their past to try to determine what caused it. This reflection almost inevitably leads to self-blame and guilt. Although my patient may express anger at not being treated well, underneath this anger is a sense that he must be unworthy of his mother’s love. This linear path between betrayal and unworthiness is how deception causes so much damage. That is, since betrayal causes the victim to feel bad about himself, the victim is hit twice. First, his social contract has been broken. Second, he thinks poorly of himself. Betrayal leads to an utter sense of helplessness. The victim feels like there is no way they can fix the situation since the damage has already been done. Helplessness leads to profound and paralyzing depression. Sometimes, the desired solution is revenge, in order to restore a feeling of potency. The movie Inglorious Basterds demonstrates this fantasy. As Daniel Mendelsohn says “Tarantino indulges this taste for vengeful violence by-well, by turning Jews into Nazis.” In this area, psychoanalysis does help us to understand the revenge fantasy. Being passive is so painful that we often want to turn passive into active. The victim becomes the perpetrator. Generally speaking, the greater the trust that one puts in another person, the greater the impact the betrayal has. In the case of my client feeling betrayed by his mom, the impact is enormous. This impact results in anger, despair and fear. The patient will likely fear that he cannot trust anyone. After all, if your mom lets you down, how can one believe that anyone will really be there for them. So, in addition to having low self-esteem, my patient suffers from relationship problems where it is hard for him to allow himself to become vulnerable to trust anyone. I imagine my patient being thrown under the bus. I imagine him screaming for help. I feel his pain. I want to help, but I am not sure he is still alive. Worse yet, I imagine that he believes his mother put him there. Then, I think that maybe, just maybe, the bus has high clearance and so rides right over him. I see a near-miss, like the story of the man who jumped into a New York subway to push a young gentleman having a seizure down into the hole so that the subway went right over the two of them, causing no damage. http://www.ctv.ca/servlet/ArticleNews/story/CTVNews/20070103/subway_hero_070103/20070103?hub=TopStories. I see a story with such a happy ending that I cry every time I think about it. Still, the fragility of life, both physical and emotional, is all too present. I trust that we can keep working. The opposite of betrayal is loyalty. Both exist. My client and I need to remember that. Sometimes, many times, when the pain is great, it is hard to keep that in mind. As I said before, we have work to do. Our work involves loyalty to each other. Perhaps in that loyalty, trust will develop, and maybe this newly made trust will layer over the betrayal he has felt. A layer of trust will help him, but make no mistake, it will not take away his pain. My hope is that this new layer will help him manage his feelings so that his world is now a mosaic of trust and betrayal. As 2011 comes to a close, I want to thank all of you for reading, and sometimes, commenting, on my blog. So far, this blog, started in November, 2009, has been an experience which has opened my eyes us to new technology, new ways of communicating, and new ways of thinking about my practice. I am grateful to my readers for fine tuning my ideas and for their general interest in what I have to say. I am grateful to my patients, which have supplied me with fictional material in which to base my posts. I am grateful to be living in 2011 to see how an on-line diary can bring together very quickly people from around the world with similar interests. I am grateful that smartphones exist, such that people can carry my work in the palm of their hand. 2012 brings us a lot to look forward to. I welcome our joint adventure. Ben, forty-three, says, “why do you not engage with me more?” I feel his rage and his helplessness. “That sounds like a very old feeling of being neglected. It feels to me that we have now entered into an archeological zone where we are exploring some very old feelings. I almost get the sense that you are a child, looking for a parent to take care of you.” I say, feeling a bit bold in the way that I am talking about how early attachment sometimes plays itself out in deep relationships. Ben begins to look confused, then suddenly he gets sad. “I don’t know what you are talking about, but for some reason I am feeling very emotional right now,” he says with a sad tone that I have never heard before. “Maybe you are feeling so emotional because I suggested that you are re-experiencing an old feeling of being isolated and alone when you needed someone to respond to you,” I say, thinking that I am repeating myself, but also knowing that sometimes repetition is important. “This is too deep for me. Is there something I can read so I can understand this better?” He asks, in a way which makes me think he is trying to avoid his feelings. “There is the twenty-three volumes of Freud” I say, lightening up our conversation. “I guess I will go to Wikipedia,” he says, right back at me. “Today has been hard,” I say, returning to his previous emotional state. “Yep! You got that right!” He says as he leaves, reassuring me that he will be OK, once he leaves. “This kind of archeology is more challenging than the traditional type,” I state, again, trying to say that I understand how hard psychotherapy, and for that matter, all intimate relationships, can be. Frank, thirty-seven, comes to see me because he broke up with his girlfriend of ten years. He is often late, forgetful of appointments, disorganized with his payments, and generally a “last-minute” guy. He is also a thrill-seeker. He jumps out of airplanes. He goes paragliding and bungee jumping. He does not like staying idle. “What were you like as a school-age kid?” I ask, realizing that I am not familiar with his childhood history. “I was smart but I hated school. The teachers hated me too. I was always in trouble.” “Do you think it is possible that you have ADHD?” I ask, beginning to think that his current behavior, combined with his self-report of his school history fits an ADHD diagnosis. “Well, yea, I have thought that for a long time,” he says, as if it is obvious. “We have never discussed it before, and you have never been treated,” I say, knowing his psychopharmacological history. “Well, I thought I was too old, and besides, I had it so many years ago they weren’t treating it then,” he says with suspicious certainty. “Oh yes, they, meaning I, was treating it then,” I gently contradict him. “We could try a stimulant,” I say, “but I am also thinking about the years of your coming of age where you must have been misunderstood as a trouble-maker, and not someone who was struggling with organic issues which got in your way.” “Well yea,” Frank says, seemingly with minimal impact about the gravity of the lack of a diagnosis in childhood. “I wonder how your relationships would have been if you could explain to your significant other what your struggles are like.” I say, emphasizing that part of having ADHD is understanding how it impacts relationships. “Maybe I would still have my girlfriend,” Frank says with acknowledgement that his ADHD interfered with his relationship, but also with a tone that lightens the discussion. Three days later Frank calls me. “Hey doc, that stuff you gave me is really helping me. Thanks.” He says, continuing in this light-hearted way, almost as if I gave him aspirin for his headache. “I am glad,” I say, with a heaviness which mismatches his tone. “That is really a big deal.” I say, marveling at the years in which he had no idea why he was so scattered and unreliable. Difficult Child or Bad Marriage: Which Came First? Rachel and Tim have been married for twelve years. They have three children, two of whom are relatively trouble-free, but their oldest, Enid is a “disaster” by their account. Enid has no friends. She does poorly in school. No one knows how to help her. She has cost the family tens of thousands of dollars in various interventions with only mild success, if any. It is not clear. Tim has decided to leave Rachel. He says that his life is very unpleasant and that at forty years old he feels he deserves to be happy. Rachel thinks that Tim has been so disappointed by Enid’s difficulties that he “checked out” leaving her with the entire burden to trying to figure out what Enid needs. Before Enid, the oldest, was born Rachel and Tim had some marital problems, but they never contemplated divorce until recently. My job is to help them help Enid, but I cannot wonder about how difficulties in a child creates the need for blame and withdrawal, resulting in painful and sometimes irreconcilable marital discord. It is hard to understand the unfairness of parenting. Some kids are “easy” in that they develop with high accomplishments and they are mostly compliant with rules. Other kids, by contrast, have a hard time fitting in and they don’t achieve the successes of other children. Depending on parental expectations, these differences in children, can be heartbreaking, financially draining, and deeply disturbing to a family. As a child psychiatrist, I see families destroyed by the challenges of their children. It is not easy to have your expectations of parenthood dashed by the reality that some kids do not grow up to be independent adults. Or, they do become independent, but they struggle with social relationships and economic stability. The pain in the parents can be deep. Deep pain leads to inner turmoil and outward blame. Marriages often cave under this pressure. It is too bad, but it is understandable. Marla and Tisa, both in their thirties, have been friends for ten years. They used to work together and be closer friends but over the years they see each other occasionally. Marla dominates the relationship in that most of the conversations center around Marla and her struggles with her family members. Tisa hardly gets an opportunity to talk about herself. This serves Tisa well in that Marla is an interesting story-teller and sometimes Tisa is engaged with Marla’s struggles. Other times, however, Tisa feels resentful that Marla is not more interested in Tisa’s life. In the worst of times, Tisa feels like she is used by Marla as a sounding board, with little recognition that Tisa all has struggles in her life. As Tisa explains to me “Marla has become a C-class friend, whereas she used to be on the A-list.” Tisa says this with great sadness that speaks to Tisa’s disappointment in herself that she does not seem capable of finding friendships which are more mutual. Tisa complains bitterly that most of her friends, when she thinks about it, use her to ventilate their problems, and show minimal, if any interest, in listening to Tisa. Tisa concludes that this pattern must reflect her own fear of opening up, such that she conveniently finds friends who are not good listeners. On the other hand, Tisa wonders, that if her own good listening skills have become a liability such that people are so at ease talking with her that she never gets the opportunity to voice her struggles. Either way, Tisa is unhappy with her friendships-not all of them, but most of them-and she wants my help to understand this problem better. Examining friendships are a way of understanding each person’s internal dynamics. Marla seems to use Tisa as a narcissistic object; a person who she can use as a mirror to reflect back her conflicts. This suggests that Marla lacks the ability to appreciate Tisa as a separate and independent human being. Likewise, Tisa is afraid to look inward, so she is attracted to Marla because Marla provides her an opportunity to hide from herself. As Tisa grows a deeper sense of herself, she tires of Marla’s rants about her family, not because she is not interested in Marla, but because these rants dominate their interactions. Their friendship starts to downgrade, but Marla does not understand why. Marla has not changed. Tisa understands this change in tolerance of Marla, but she sees no point in explaining this to her, as Marla is not motivated to change, or so Tisa believes. So the friendship deteriorates and both are left feeling a loss in their lives. It is tough, even though, in this friendship, no one moved, no one got a terminal illness, and no one had a life-changing event. The change was more subtle. Tisa grew up. Stacy, fifty-seven, has had two prior “failed” analyses, by her report. Her last treatment experience ended when she was thirty-five. Now, her kids are grown. She is married to the same man for over thirty years, and although she used to work full-time as an attorney, she is now on disability for vague, nonspecific complaints, which “over ten doctors” have not figured out what is wrong with her, but one of them, apparently, filled out the paper work for disability. She has lots of time on her hands, and she has the financial resources for psychotherapy. She also complains that her family of origin still haunts her significantly, to the point where she cannot stop thinking about how her mother, in particular, was harmful to her sense of herself. Stacy has few friends, as she considers friends a “waste of time.” She is often physically active without any limitations, but there are times she does not feel like exercising so she has periods where she is sedentary. “Therapy is not going to help me,” she says, as if inviting me to argue with her as to how it might. I hear in that comment the narcissism in which she believes that her problems are beyond the pale-too complicated for therapy. Even in her issues, she needs to feel special, I begin to think to myself. It seems like she struggles to feel ordinary and as such, she cannot enter into the “ordinary” experience of being a patient and asking for help, even though she has some insight into her chronic suffering. “Why don’t you give it a try and see how it feels?” I ask, suggesting that therapy is not a black and white experience. “You can make of it what you want,” I say, suggesting that with all creative experiences, what you put into it, determines, in part, what you get out of it. “Yes, but maybe there is something better that I should be doing,” she says, again, inviting me to argue with her. “What would that be?” I say, wondering what she is thinking. “Oh, I don’t know,” she says with a touch of anger. “Of course, there is an opportunity cost of going to psychotherapy, if that is what you mean,” I say, highlighting the fact that I understand the risk of psychotherapy, both practically and emotionally, but I only mention the practical risk by mentioning the opportunity cost. I think as I say that, that she is scared of going into psychotherapy and that is why she is inviting me to argue with her. She wants me to reassure her that things won’t get worse, which of course, they could. Stacy’s ambivalence about psychotherapy is utterly painful. Her tone suggests an angst of deep pain-so deep that going to psychotherapy is really scary. Now her psychological pain seems masked by her vague, non-specific physical symptoms which led to her going on disability. Therapy might uncover that her physical symptoms stem from deeper psychological wounds of feeling unloved and unloveable, thereby causing her to make decisions in her life in which she was fighting to feel loved, but it never worked. Had she felt loveable, maybe she would have taken a different path. Insights can cause deep regret. Stacy seems to know that and she is scared. At the same time, she is uncomfortable in her body and she feels lost and empty inside. I don’t think she is ready for therapy yet, but we will see.